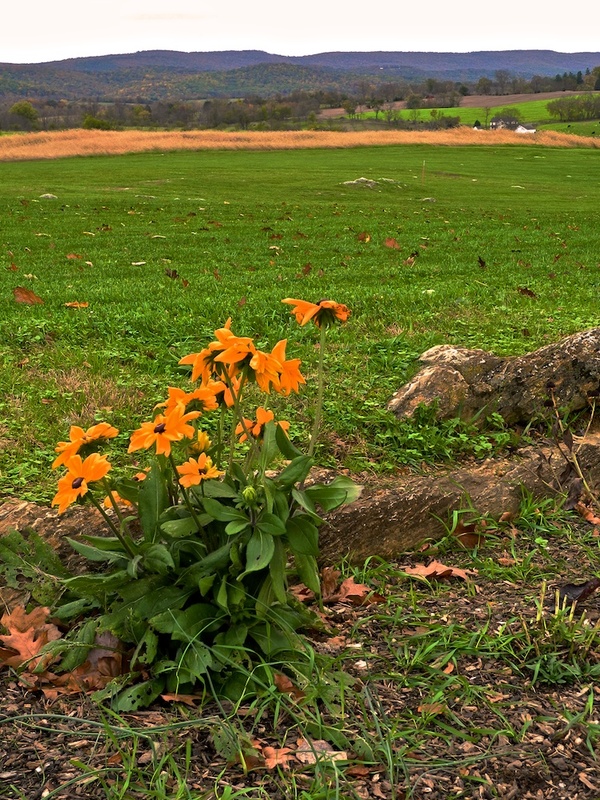 When I made this photo I was standing directly in front of the visitor’s center at Antietam National Battlefield, looking toward a section of the ground where so many lost their lives during the Civil War. I had never before visited Antietam, and was well rewarded by what we saw…and by what I was able to capture in the way of photographic images. My objective here was to place the flowers in the foreground, with colorful open fields behind. Nikon P7100.